Everything you need to know about the game. Aliens: Colonial Marines is an upcoming shooter that is set in the Aliens universe and features its characters and setting. The game is being developed by Gearbox Software and is said to release this year. Sega is publishing the game. Randy Pitchford of Gearbox Software once called it one of the most influential influential science fiction properties of all time. The main goal of the development team is to stay true to the films and you will get access to unique weapons and equipments that you have seen in the fims. Everything from the story to gameplay mechanics are inspired by the films. The gameplay will be a bit unique with no HUD to make the gameplay more immersive. 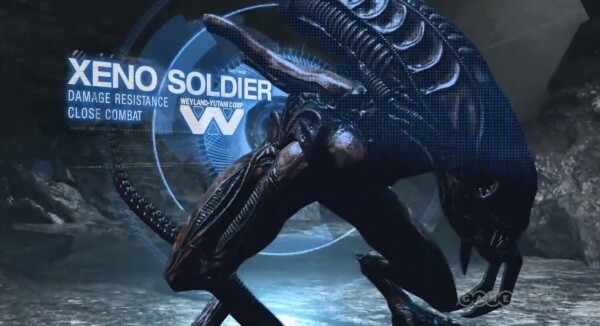 Enemies from the films like xenomorphs from the Alien moves and bosses like the Warrior and Queen will also be making an appearance. 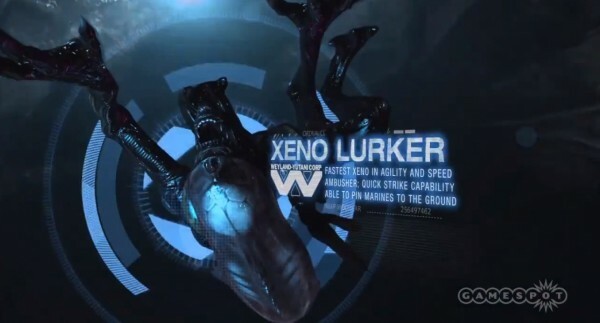 Gearbox has also made some new xenomorph enemies that we’ve never seen before in the movies. There are also human soldiers to fight in the game. 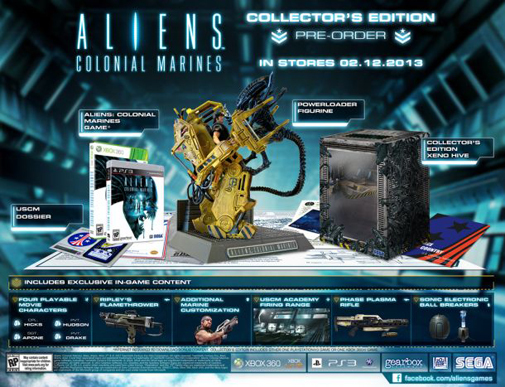 Aliens Colonial Marines will add to the story and also fix dangling threads. The story in the series is quite complex and it allows game designers to pick new threads and build upon it, and also fix any errors. “Looking at the end of Aliens – we’ve got them getting off the planet, we’ve got that atmospheric processor going off. Where can we pick up that thread? What are the repercussions of that? That’s sort of where we come in,” Gearbox Software’s cinematic director Brian Burleson said. “Because as storytellers it’s always fun to figure out where someone else left some dangling threads in their story. That’s another cool thing about this universe: all the stories do that, they always leave a few dangling threads for somebody else to pick up. In a developer diary, Randy Pitchford and other members of the team talk about what they have done in the game that makes the movie action pieces more believable. They also talk about the weapons they love and most of them agree on the Plasma rifle and the smart gun. This time, the team covers “Xenos vs Marines”, espousing on the different types of Aliens, and the strategies needed to put them down. We finally get to see what it’s like looking through the little view finder of the smart gun. Despite demo builds and gameplay demos showing the game, it was later discovered by players that this was a vertical slice demo that didn’t represent the final product. This was later rectified after the game received few positive reviews and considerably more scathing reviews mocking the games weak AI, repetitive, boring gameplay, uninspired boss encounters and end fights. Since then there has been multiple apologies made on behalf of publishers and developers with both seemingly blaming each other for the end result. 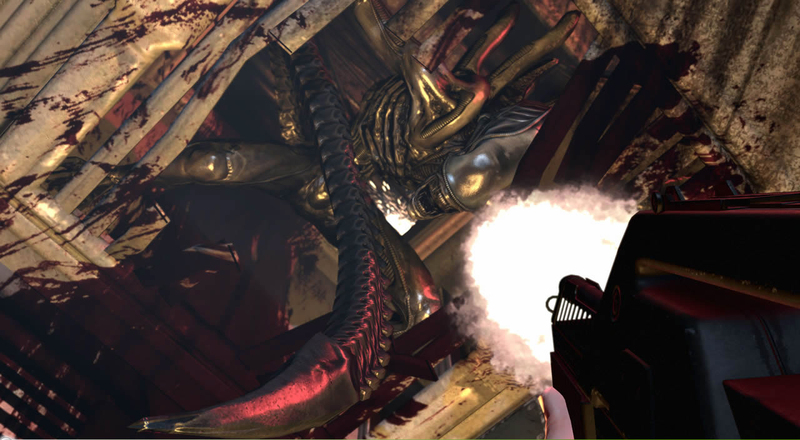 It’s a first-person shooter game, and you will get a massive arsenal of firepower that you have seen in the movies to take down the xenomorph hordes. The game is set in a variety of locations allowing you to use your powers and also makes the enemy AI shine. U.S.S Sulaco gets infested with Aliens and in this new developer diary we can see the concept behind the Alien hive. You will be fighting here and considering the small cramped rooms, the action potential here is great. This continues Gearbox’s approach of showing us how exactly the game took shape. While paying homage to the Alien movies in spades, Colonial Marines is deadset on striking out on its own to provide a compelling experience to the player. Considering this worked quite well for Alien vs Predator (not so much for future sequels), we’d say we’re stoked to see the final result. This new developer diary shows you the type of action you will encounter in the U.S.S Sulaco. First, if it moves, kill it; if it is not moving, kill it again. You got more firepower than an army platoon, so use it. Watch the diary below. 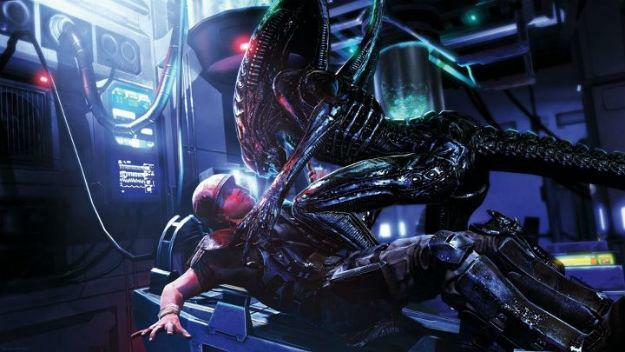 Aliens: Colonial Marines begins with an ostensibly abandoned ship, the U.S.S. Sulaco, recovered in orbit around LV-426. Players lead a group of highly trained United States Colonial Marines as they board the deserted craft to uncover the fate of the crew. They will have to fight to survive unspeakable horrors and their own anxieties as they chase down the truth behind a galaxy-spanning deception that places humanity at the mercy of the most murderous and deadly species in the universe. 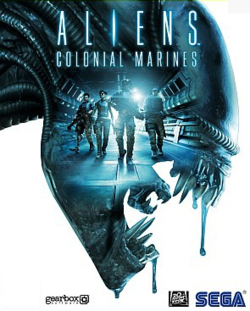 Aliens: Colonial Marines features authentic environments, such as the surface of LV-426 and Hadley’s Hope, weapons inspired by the film series and is designed to provide an exhilarating and engaging new chapter in the Aliens universe. Majority of the game’s plot was written by Battlestar Galactica writers Bradley Thompson and David Weddle. The game has a dynamic drop-in/drop-out co-op mode with support for up to 4 players online or 2 players locally. The local 2 player support will be via split screen. 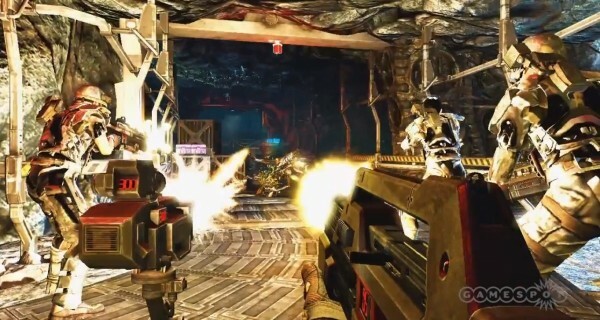 The game has a competitive multiplayer too, and Gearbox has shown Aliens vs Marines team deathmatch 6 v 6 gameplay, as well as a 4 v 4 objective mode called Escape, where the marines team must reach an evac point while the alien team must hunt and stop them. There’s not a lot of information out there on the classes and weapons except the vague mention of them in the developer diary but here’s some of them that are in the game. 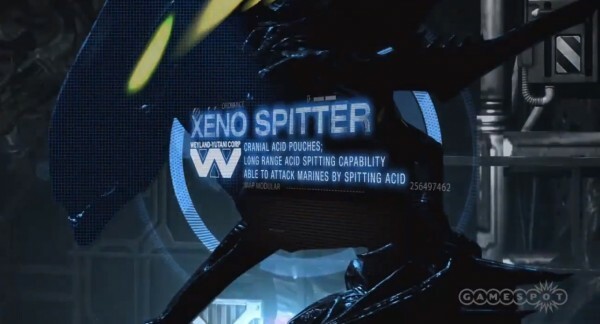 There are a lot of different Xenomorph classes in the game and you can play using them in the multiplayer. They have their own targeting system and can do some incredible moves like you would expect of course. These classes and weapons are from the exclusive Gamespot trailer that came out last year. We are not sure what this does yet. You will be able to place turrets to hold your position against the xenomorphs. A high quality resin powerloader figure. Four movie-based playable characters including Private Hudson, Corporal Hicks, Private Drake and Sergeant Apone. Exclusive multiplayer weapons: the Phase Plasma Rifle and Sonic Electronic Ball Breakers. USCM Dossier including mission brief, USS Sephora schematic, Recruitment card, LV-426 recon photo, USCM iron-on badges and a USCM graduation certificate. A Limited Edition ‘xeno hive’ box. The Collector’s edition retails at $99.99 in North America, with a European price still to be confirmed. Additionally, GameStop offers the additional characters, character customisation and Ripley’s flamethrower as a pre-order bonus for the standard retail price of $59.99. This wiki was last updated on January 1st, 2015.